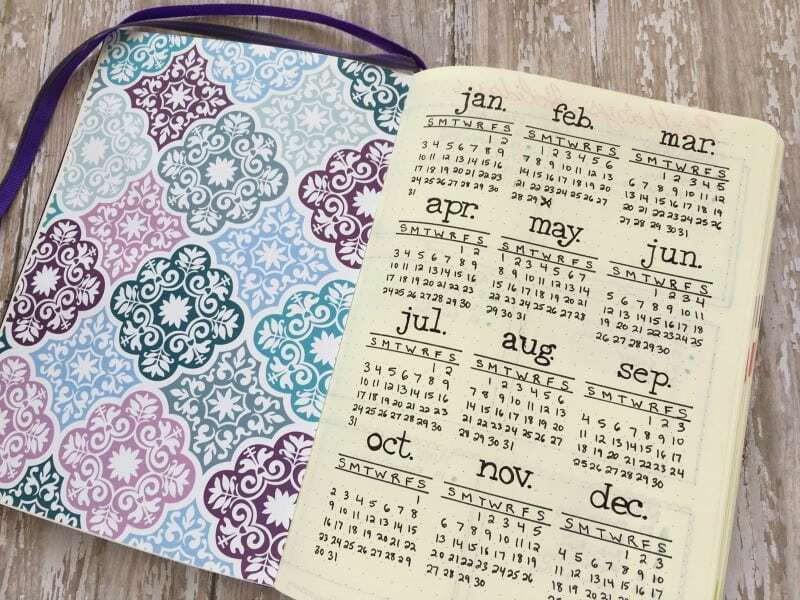 Bullet journaling has experienced a huge surge in popularity in the last year. The community has exploded with an array of personalities all sharing ideas as they work toward their perfect bullet journal systems. Inevitably, there are disagreements about the “right” way to do things. There’s the battle of the notebooks: Molesksine vs. Travelers vs. Leuchtturm1917 (*ahem* the name of my action movie). Another hot topic I hear in discussions, “To doodle or not to doodle?” Some people swear by fancy headers, others claim they’re unnecessary distractions. With all the disagreement, it’s easy to wonder if you are bullet journaling incorrectly. I’m tempted to say there is no wrong way. But I won’t. 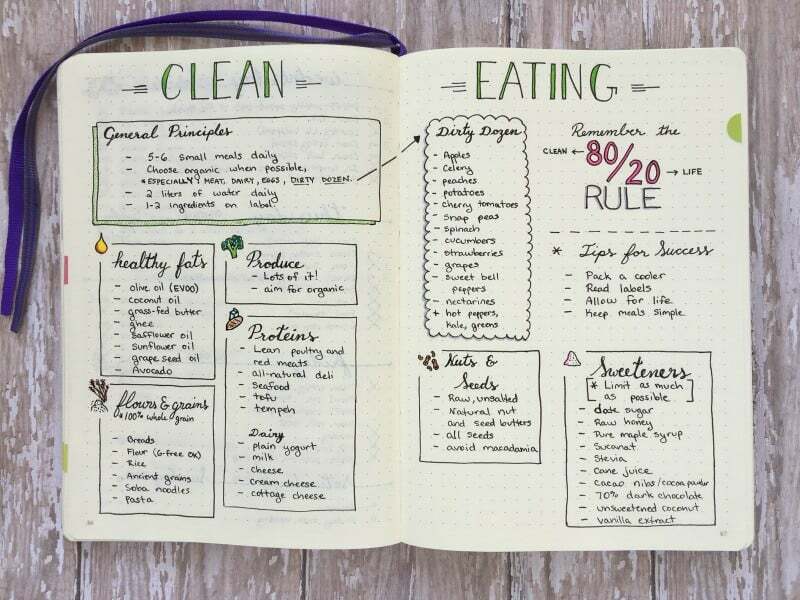 Ok, we’ll stick the participation ribbon on the fridge for now, but to be honest, there are a few things that might be sabotaging your bullet journal bliss. A bullet journal won’t do you any good if you let it sit in the bookcase at home. Get your journal off the shelf and make it a permanent part of your day. That gorgeous notebook needs to show some paper to attract a good pen. Hmm, is this turning sexist? Possibly. Let’s put the metaphor in different terms…Your bujo cares about the ideas in your big beautiful brain and wants to encourage you to meet your potential. Much better. Writing in your bullet journal daily is the single most important factor to whether or not it will be useful. Take it everywhere! I know, I just told you that doing it daily was the most important thing. Confused yet? It’s all about managing your expectations. If you commit yourself to journaling every day, it will be a much more effective tool in your life. But don’t put so much pressure on yourself that a single missed day makes the whole process seem like a lost cause. Use your journal to remind yourself of your own resiliency. When you miss a day, regroup, look at your goals, prioritize tasks, and get the ball rolling again. Breaks allow you to step back and see the big picture. You also want to make sure your journaling routine isn’t so important that it becomes your routine. Get out and live the life you’re working so hard for! My bullet journal is a direct reflection of the life I lead. 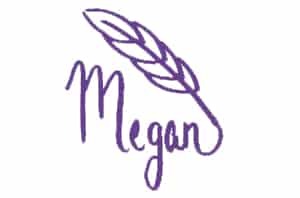 I draw a lot of inspiration from other bullet journals I see online, and let’s not pretend those gorgeous hand-lettered headers and intricate charts out there haven’t occasionally made me want to give up on life. Compared to such works of art, my careful notes might as well have been notes I scrawled on a napkin while shuffling through the street in my slippers. But my journal is not an exercise in impressing people, and neither is yours; it’s a tool to plan your day, develop strategies to meet goals & deadlines, a collection of passions, and a private inspirational space. 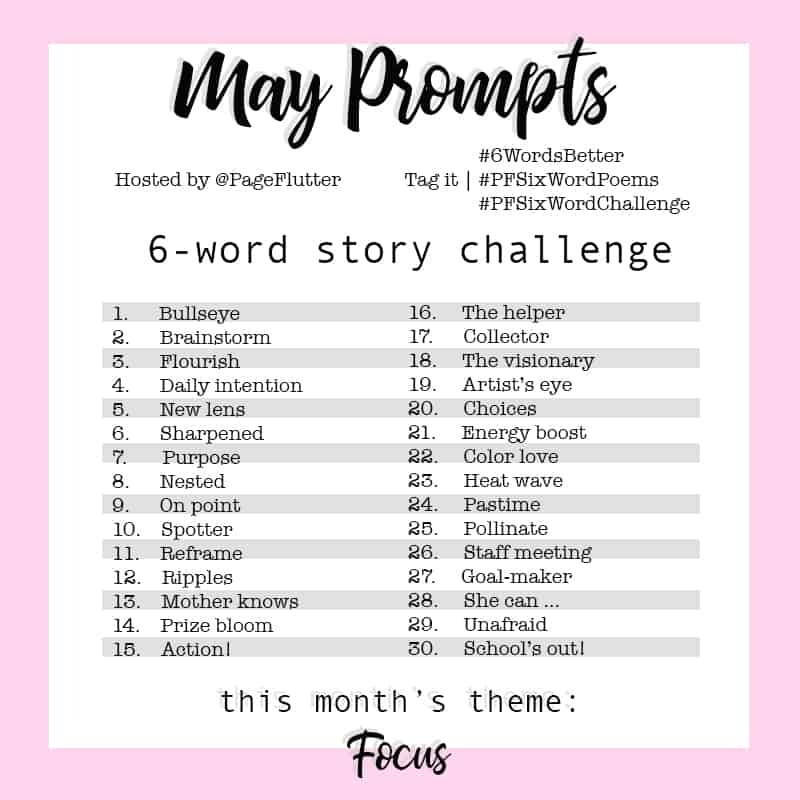 I will frequently show you my spreads with whiteout, mistakes, or other “imperfections.” In the photo above, there are smudges in August and May, and February has an extra day. Trust me, I didn’t lose sleep over it. It’s not that I don’t care about visual appeal (most of us do), but I also want you to see the real deal. Be yourself, and be proud of the journal that springs from your beautiful, imperfect life. Let’s put our Pessimist hats on for a second. In its most basic form, the bullet journal could be a never-ending list of work. Now, take off the hat and bury it. I find it very satisfying to cross things off my list each day, but some people feel oppressed by lists. If you find yourself avoiding your bullet journal, brighten it up a bit. Maybe you need a few special spreads for your favorite past-times (TV shows, doodling, books to read, inspirational quotes, a yoga or running spread, etc.). Keep it productive and encouraging so you won’t mind spending time with your journal. Ryder Carroll’s original bullet journal tutorial reveals how clean and linear the system is. Bullet journaling was designed with minimalism and productivity in mind. 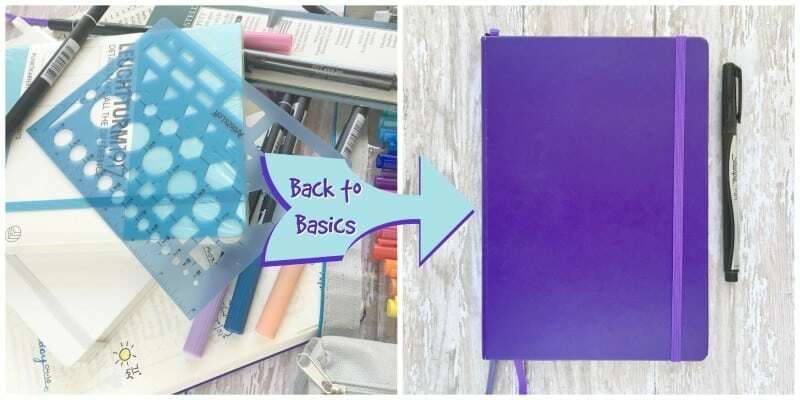 The creative community took the logical-sequential benefits of the bullet journal, threw in some color and a few doodles, and created a new face for the same basic system. You don’t necessarily need to choose a camp. I myself go back and forth between needing a creative outlet and wanting to strip down to basics. What matters is that you feel comfortable with the journal you’re creating, and you aren’t trying to be someone you’re not. A writer might use her bullet journal to organize character profiles, record bits of inspiration, and track deadlines. You can read more about some of my writing list in my post: 14 Bullet Journal Lists to Supercharge Your Writing. Does a project manager for a major marketing firm have those needs? Probably not. The same could be said for a college student who uses his journal as a creative tool for sketches, ideas, and future business possibilities. Only you know what your goals are, and only you can determine which tasks and spreads in your journal will help you get there. “Too many” is a pretty subjective term, but each user has different needs. A hobbyist who uses her journal as a creative outlet might want lots of markers, stamps, colored pencils, stickers, papers, and washi tape at her disposal. In that case, “too much” is more than she can use, afford, or store. For the practical bullet journalist, more than one pen could be overkill. I need my journal to be portable, but I walk the line between keeping things simple and making them nice to look at. For me, one journal and one pen is all I put in my purse when I leave the house. I add color or other extras at home when I’m relaxing for the evening. Think about scheduling interactions during your day. Are you able to take time for stickers, colored pens, and stamps to make a simple appointment change? Maybe the answer is “yes” and you find the process enjoyable. If not, keep it to the basics: One pen. One notebook. No troubles. Don’t be surprised if your needs change over time. Keep asking yourself if your system is working for you. Are you meeting your goals? Do you feel like you can manage your time? Were there any surprises in your schedule you had overlooked? Missed appointments? If it didn’t work, let it go and try something new. Always be willing to turn the page and start fresh. When I first started my bullet journal, I worked my way through Ryder’s website, found tinyrayofsunshine.com, bohoberry.com, and decadethirty.com, but I stayed on the sidelines of the community. 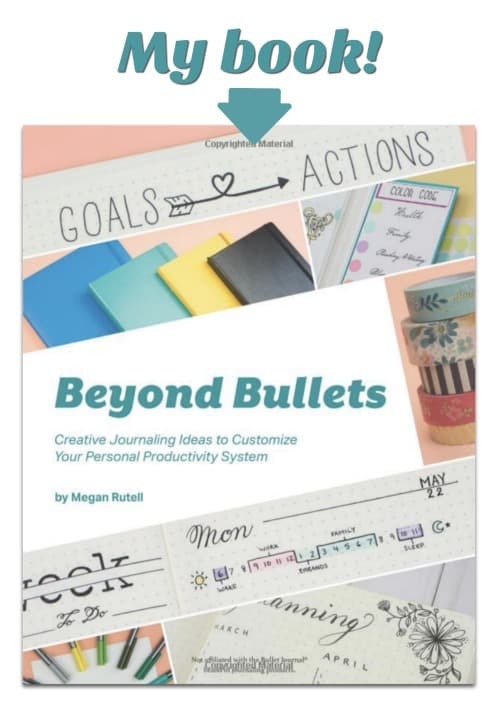 I initially used my bullet journal to organize creative writing projects, so I didn’t think anyone else had any ideas to offer me. As usual, I was wrong. The more I used my journal, the more I wanted to incorporate other areas of life into it, but I wasn’t sure how to start. When I started having conversations with other bullet journalist, everything started to click with my own journal; I saw their innovative approaches and was inspired to develop my own strategies. Not to mention, they’re pretty cool people. Sign up for my newsletter to get your monthly Flutter Fix. Follow me and other bullet journalists on Instagram to see how we handle daily tasks and collections. Join the Bullet Journal Junkies Facebook Group– I felt like I had struck gold when I found this Facebook group! It’s your one-stop shop for layouts, resources, product reviews, blog links, and answers to every question you could have. Since it’s a closed group, you have to send a request to join, but it keeps the group clear of constant advertising spam and political arguments. The community is very active and always eager to help a newbie. Love it! Can you ever go wrong with Pinterest? Follow my boards for tips, inspiration, and links to my latest posts. Visit Page Flutter | M.J. Rutell’s profile on Pinterest. I hope that puts your mind at ease about whether you are bullet journaling the wrong way. Use your journal in a way that feels honest to yourself and your goals, and you should be fine. Enjoy! What challenges have you run into with bullet journaling? Did you develop or find a solution? I’d love to hear about the role your journal plays in your life! I found your post on Pinterest and I think it was really great. Very down to earth compared to other posts I’ve read. I started bullet journaling almost 3 years ago and haven’t changed much….a few things depending on the clutter of my week. The one thing I (might) disagree with it #10. For over 2 years (probably 2 1/2) I had no connection to any community. I don’t think that is necessary at all. I have actually muted (unfollowed) most posts on FB because of the sheer volume of “am I doing this right?” “what should I do?” and the disagreements (oh dear…). I honestly quit for about 2 months because of the chatter. Now that I’ve quieted it I am back and better than ever. I am definitely a one pen (a ballpoint, usually from the bank), one notebook (that isn’t on anyone’s list…) girl. I really liked that you included that point – that making things “pretty” isn’t absolutely necessary……. Hi Jerrie! Thanks for your comment. I do agree that everyone’s level of “involvement” with the bullet journaling community will vary according to their needs. It sounds like you were able to find the balance that worked for you, and I’m so glad you connected with my blog. I really want to show people how this system can enhance their lives without taking over it! Awesome! Leave me a link and I will check it out. 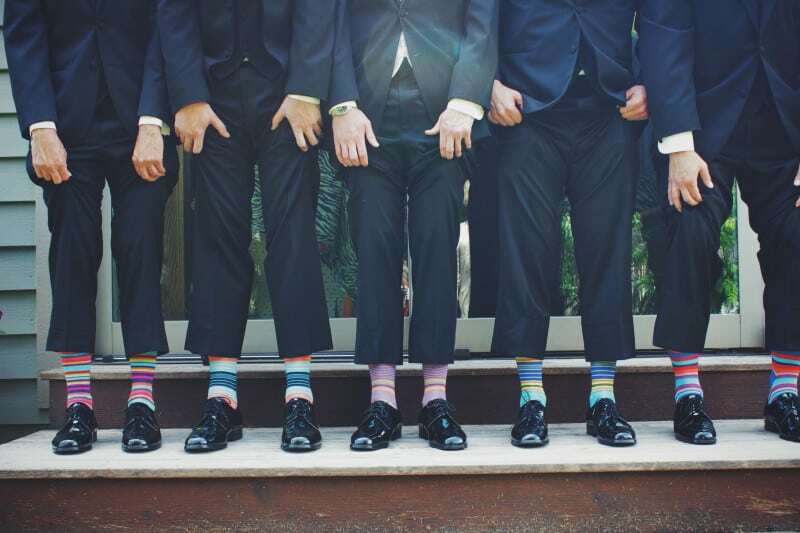 Such a cool blog. There are so many great resources for writers on it, and I especially appreciated the section promoting some of your guest writers. Freelancers need all the love they can get! Oh heck yes. Soooo much agreement. I get so sad when I see people leave the planner community because they think they have to have a million accessories or some kind of inhuman artistic talent in order to “keep up.” This should be about tools that make our lives better, not competing to see who can post the most bling on Instagram! It is sad! People shouldn’t give up on something they want because of someone else’s vision. I occasionally enjoy making things beautiful, but sometimes we don’t have time for it. I would never “shame” anyone for enjoying their stash of planning supplies, nor is it a contest to see who can be the most minimalist. Just be who you are! Really good advice. I have been BuJoing only since mid-May and can identify and agree with everything you’ve written. My spreads have changed each month and although I started off in a minimalistic fashion, I have gradually added various forms of decoration – but only in any blank spaces that may have been left at the end of the day. It’s working for me so far. I’ve also found that my actual journal writing is gradually increasing too. Bonus! Really glad I have discovered your blog. Thank you. So overwhelmed and have not started yet. Thank you for this and the encouragement! Keep it simple at first. Perhaps do it Ryder’s way (bulletjournal.com) to get the hang of it for a couple months. THEN, look around the Internet to see how other people have done theirs. I wouldn’t suggest changing things a lot until you know how *you* work with it. Your Bullet Journal is YOURS. Not anyone else’s. Just go with what seems natural to you.